Ravishing Rick Rude is going into the Hall of Fame. FINALLY! Rick Rude was the first predictive article as part of my “Future Hall of Famer” series from 4 years ago. I knew it would happen, and am pleased to be correct. Rude is the product of the 1980s. This was one of the pinnacles of wrestling. It is after all considered to be the Golden Era of modern day wrestling. The territory system combined with competition between WWF/NWA/World Class/AWA gave us seasoned wrestlers with character, ability and charisma. Rude represents this. . And if you look at his work, it is obvious what he had. 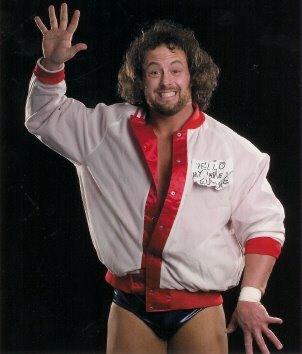 Feud wise, Rude also was incredibly engaging and entertaining with his work with Jake Roberts. Who can forget Jake Roberts’ wife, Cheryl on Rick Rude tights. This feud, if you haven’t watched it, is everything that is great about professional wrestling. It was the perfect mixture of Rick Rude characters with a popular number 3 baby face which got both more over in the process. It is these types of feuds which WWE is missing today. Welcome to the Hall of Fame, Ravishing Rick Rude. WWE has been on a regular path of adding the glaring missing people, especially if they are deceased. 2015 gave us Randy Savage, 2016 gave us the Freebirds, 2017 gives us Rick Rude. Thank the lord! 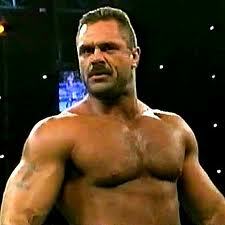 Uh, I guess Rick Rude made Vince McMahon angry 20 years ago. Maybe Vince couldn’t handle his manliness? This entry was posted in 8 out of 10, Class of 2017, WWE Hall of Fame. Bookmark the permalink.